I Skate, Therefore I Am: 2011 MegaRamp Championship Series Debuts at Woodward West on June 9th. 2011 MegaRamp Championship Series Debuts at Woodward West on June 9th. Last year, Woodward West opened its new Mega Ramp which features a huge roll-in to a choice of a 50, 60, or 70-foot gap, followed by a massive landing into a 27-foot-tall quarterpipe. When the Mega Ramp team says "mega" they mean mega. You might be able to see the ramp from a helicopter or even from space. Yes, It's that big. 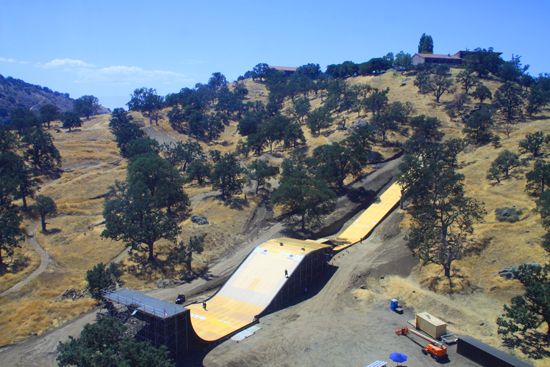 Woodward West's new Mega Ramp is one of the few permanent setups in the world, the other being in Bob Burnquist’s famous backyard in Vista, California. While big vert is more directed at pros than the average Woodward camper, there's no telling what sort of new Mega Ramp talent and tricks we'll see come to fruition with this massive structure. Woodward West is is located at 4,000 feet in the hills of Tehachapi, California. event of the inaugural season of the MegaRamp Championship Series. 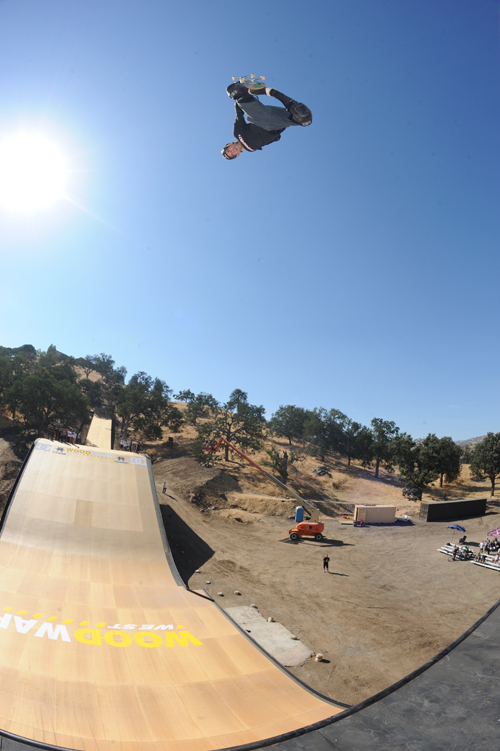 Many of the world’s top MegaRamp riders will converge at Woodward West for the first full-sized MegaRamp event of 2011. Athletes confirmed to attend include: current reigning (2007–2010) MegaRamp Skateboard World Champion Bob Burnquist (BRA); X Games double gold medalist Jake Brown (AUS); Andy MacDonald (USA); Adam Taylor (USA); and Lincoln Ueda. From BMX, look for Andy Buckworth (AUS); Vince Byron (AUS); Zack Warden (USA); Morgan Wade (USA); and Austin Coleman (USA). Judges include skateboard legends Danny Way, Christian Hosoi, and BMX star Kevin Robinson. The event is open to both pros and top ams and spectators are welcome to attend. The contest will be judged during a jam format in which athletes will drop nine stories, jump a 70-ft gap, land at 45 mph, and then ride the 27-ft high quarter pipe to fly 50 feet in the air. MegaRamp athletes redefine what’s possible on a skateboard and a BMX bike. The MegaRamp Championship Series features four contests taking place on full-sized MegaRamp structures. Athletes accumulate scores based on their results at each stop. The athlete with the highest overall scores from each of skateboarding and BMX will be crowned the overall winner of the MegaRamp Champion Series in their sport.